After using the Ozeri Green Earth Wok for over a month, we were excited to try another one of their cookware products. Being satisfied with the non-stick qualities of the wok, we were curious if the new pan would work just as well. 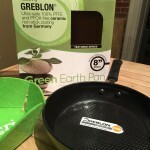 The 8″ Ozeri Green Earth Frying Pan is part of their Textured Series, and features the Greblon ceramic non-stick coating from Germany. The Textured series refers to the unique raised hexagon pattern that covers the cooking surface, a little over 6.5 inches. This pan is the perfect size for cooking a quick egg or two in the morning, a grilled cheese at lunch, or a vegetable sauté for dinner. It heated up quickly and browned food nicely. 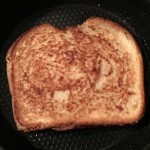 One of the best features is the reduction in the amount of oil or butter required. For its size, the 8″ Ozeri Green Earth Frying Pan has a significant weight to it and feels great while cooking. The stainless steel handle is riveted to the body of the pan for a solid connection, (no screws to come loose). We love the super soft silicon grip with a thumb groove in just the right spot. The pan has a thick aluminum base that distributes heat quickly and evenly to the cooking surface, requiring less heat than other pans. The bottom is magnetic and according to their directions, is safe for induction stove use. 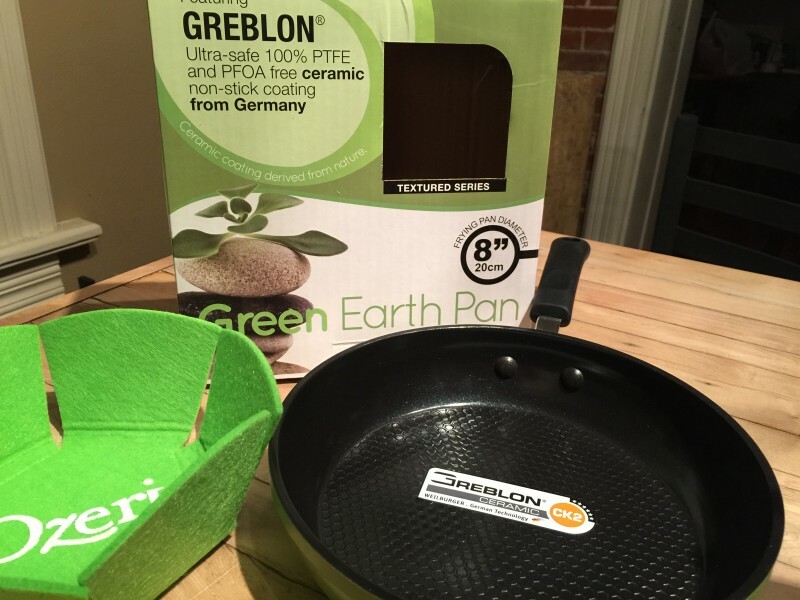 Cleaning the Ozeri Green Earth Frying Pan was just as quick and easy as our Ozeri wok. At first glance, we thought the raised hexagons would be a place for food to stick, but not the case. The surface is easily wiped clean in seconds with a soft soapy cloth or soft dish brush, no scrubbing required. The packaging is attractive and highlights the features and includes a soft liner to protect from scratches. Additional instructions inside are very informative and concise but could be a bit larger for easier reading. 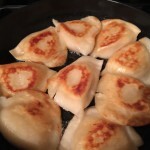 Once again, we are happy with an Ozeri cookware product. We also like that it is made from Ultra-Safe 100% PTFE and PFOA free ceramic coating. Although we received this product free of charge for the purpose of review, we would definitely purchase this pan for ourselves or as a gift. *Note: all cooking was done using a standard gas stove. Disclaimer: We received this item free of charge for the purpose of review. All opinions contained within are solely our own. This post contains affiliate links. Cooking, Kitchenware, Ozeri Green Earth Wok. Bookmark.